YUSUFALI: O mankind! reverence your Guardian-Lord, who created you from a single person, created, of like nature, His mate, and from them twain scattered (like seeds) countless men and women;- reverence Allah, through whom ye demand your mutual (rights), and (reverence) the wombs (That bore you): for Allah ever watches over you. PICKTHAL: O mankind! Be careful of your duty to your Lord Who created you from a single soul and from it created its mate and from them twain hath spread abroad a multitude of men and women. Be careful of your duty toward Allah in Whom ye claim (your rights) of one another, and toward the wombs (that bare you). Lo! Allah hath been a watcher over you. YUSUFALI: To orphans restore their property (When they reach their age), nor substitute (your) worthless things for (their) good ones; and devour not their substance (by mixing it up) with your won. For this is indeed a great sin. PICKTHAL: Give unto orphans their wealth. Exchange not the good for the bad (in your management thereof) nor absorb their wealth into your own wealth. Lo! that would be a great sin. SHAKIR: And give to the orphans their property, and do not substitute worthless (things) for (their) good (ones), and do not devour their property (as an addition) to your own property; this is surely a great crime. YUSUFALI: If ye fear that ye shall not be able to deal justly with the orphans, Marry women of your choice, Two or three or four; but if ye fear that ye shall not be able to deal justly (with them), then only one, or (a captive) that your right hands possess, that will be more suitable, to prevent you from doing injustice. PICKTHAL: And if ye fear that ye will not deal fairly by the orphans, marry of the women, who seem good to you, two or three or four; and if ye fear that ye cannot do justice (to so many) then one (only) or (the captives) that your right hands possess. Thus it is more likely that ye will not do injustice. SHAKIR: And if you fear that you cannot act equitably towards orphans, then marry such women as seem good to you, two and three and four; but if you fear that you will not do justice (between them), then (marry) only one or what your right hands possess; this is more proper, that you may not deviate from the right course. YUSUFALI: And give the women (on marriage) their dower as a free gift; but if they, of their own good pleasure, remit any part of it to you, Take it and enjoy it with right good cheer. PICKTHAL: And give unto the women (whom ye marry) free gift of their marriage portions; but if they of their own accord remit unto you a part thereof, then ye are welcome to absorb it (in your wealth). SHAKIR: And give women their dowries as a free gift, but if they of themselves be pleased to give up to you a portion of it, then eat it with enjoyment and with wholesome result. YUSUFALI: To those weak of understanding Make not over your property, which Allah hath made a means of support for you, but feed and clothe them therewith, and speak to them words of kindness and justice. PICKTHAL: Give not unto the foolish (what is in) your (keeping of their) wealth, which Allah hath given you to maintain; but feed and clothe them from it, and speak kindly unto them. SHAKIR: And do not give away your property which Allah has made for you a (means of) support to the weak of understanding, and maintain them out of (the profits of) it, and clothe them and speak to them words of honest advice. YUSUFALI: Make trial of orphans until they reach the age of marriage; if then ye find sound judgment in them, release their property to them; but consume it not wastefully, nor in haste against their growing up. If the guardian is well-off, Let him claim no remuneration, but if he is poor, let him have for himself what is just and reasonable. When ye release their property to them, take witnesses in their presence: But all-sufficient is Allah in taking account. PICKTHAL: Prove orphans till they reach the marriageable age; then, if ye find them of sound judgment, deliver over unto them their fortune; and devour it not by squandering and in haste lest they should grow up Whoso (of the guardians) is rich, let him abstain generously (from taking of the property of orphans); and whoso is poor let him take thereof in reason (for his guardianship). And when ye deliver up their fortune unto orphans, have (the transaction) witnessed in their presence. Allah sufficeth as a Reckoner. SHAKIR: And test the orphans until they attain puberty; then if you find in them maturity of intellect, make over to them their property, and do not consume it extravagantly and hastily, lest they attain to full age; and whoever is rich, let him abstain altogether, and whoever is poor, let him eat reasonably; then when you make over to them their property, call witnesses in their presence; and Allah is enough as a Reckoner. YUSUFALI: From what is left by parents and those nearest related there is a share for men and a share for women, whether the property be small or large,-a determinate share. PICKTHAL: Unto the men (of a family) belongeth a share of that which parents and near kindred leave, and unto the women a share of that which parents and near kindred leave, whether it be little or much - a legal share. SHAKIR: Men shall have a portion of what the parents and the near relatives leave, and women shall have a portion of what the parents and the near relatives leave, whether there is little or much of it; a stated portion. YUSUFALI: But if at the time of division other relatives, or orphans or poor, are present, feed them out of the (property), and speak to them words of kindness and justice. PICKTHAL: And when kinsfolk and orphans and the needy are present at the division (of the heritage), bestow on them therefrom and speak kindly unto them. SHAKIR: And when there are present at the division the relatives and the orphans and the needy, give them (something) out of it and speak to them kind words. YUSUFALI: Let those (disposing of an estate) have the same fear in their minds as they would have for their own if they had left a helpless family behind: Let them fear Allah, and speak words of appropriate (comfort). PICKTHAL: And let those fear (in their behaviour toward orphans) who if they left behind them weak offspring would be afraid for them. So let them mind their duty to Allah, and speak justly. SHAKIR: And let those fear who, should they leave behind them weakly offspring, would fear on their account, so let them be careful of (their duty to) Allah, and let them speak right words. YUSUFALI: Those who unjustly eat up the property of orphans, eat up a Fire into their own bodies: They will soon be enduring a Blazing Fire! PICKTHAL: Lo! Those who devour the wealth of orphans wrongfully, they do but swallow fire into their bellies, and they will be exposed to burning flame. SHAKIR: (As for) those who swallow the property of the orphans unjustly, surely they only swallow fire into their bellies and they shall enter burning fire. PICKTHAL: Allah chargeth you concerning (the provision for) your children: to the male the equivalent of the portion of two females, and if there be women more than two, then theirs is two-thirds of the inheritance, and if there be one (only) then the half. And to each of his parents a sixth of the inheritance, if he have a son; and if he have no son and his parents are his heirs, then to his mother appertaineth the third; and if he have brethren, then to his mother appertaineth the sixth, after any legacy he may have bequeathed, or debt (hath been paid). Your parents and your children: Ye know not which of them is nearer unto you in usefulness. It is an injunction from Allah. Lo! Allah is Knower, Wise. SHAKIR: Allah enjoins you concerning your children: The male shall have the equal of the portion of two females; then if they are more than two females, they shall have two-thirds of what the deceased has left, and if there is one, she shall have the half; and as for his parents, each of them shall have the sixth of what he has left if he has a child, but if he has no child and (only) his two parents inherit him, then his mother shall have the third; but if he has brothers, then his mother shall have the sixth after (the payment of) a bequest he may have bequeathed or a debt; your parents and your children, you know not which of them is the nearer to you in usefulness; this is an ordinance from Allah: Surely Allah is Knowing, Wise. YUSUFALI: In what your wives leave, your share is a half, if they leave no child; but if they leave a child, ye get a fourth; after payment of legacies and debts. In what ye leave, their share is a fourth, if ye leave no child; but if ye leave a child, they get an eighth; after payment of legacies and debts. If the man or woman whose inheritance is in question, has left neither ascendants nor descendants, but has left a brother or a sister, each one of the two gets a sixth; but if more than two, they share in a third; after payment of legacies and debts; so that no loss is caused (to any one). Thus is it ordained by Allah; and Allah is All-knowing, Most Forbearing. PICKTHAL: And unto you belongeth a half of that which your wives leave, if they have no child; but if they have a child then unto you the fourth of that which they leave, after any legacy they may have bequeathed, or debt (they may have contracted, hath been paid). And unto them belongeth the fourth of that which ye leave if ye have no child, but if ye have a child then the eighth of that which ye leave, after any legacy ye may have bequeathed, or debt (ye may have contracted, hath been paid). And if a man or a woman have a distant heir (having left neither parent nor child), and he (or she) have a brother or a sister (only on the mother's side) then to each of them twain (the brother and the sister) the sixth, and if they be more than two, then they shall be sharers in the third, after any legacy that may have been bequeathed or debt (contracted) not injuring (the heirs by willing away more than a third of the heritage) hath been paid. A commandment from Allah. Allah is Knower, Indulgent. SHAKIR: And you shall have half of what your wives leave if they have no child, but if they have a child, then you shall have a fourth of what they leave after (payment of) any bequest they may have bequeathed or a debt; and they shall have the fourth of what you leave if you have no child, but if you have a child then they shall have the eighth of what you leave after (payment of) a bequest you may have bequeathed or a debt; and if a man or a woman leaves property to be inherited by neither parents nor offspring, and he (or she) has a brother or a sister, then each of them two shall have the sixth, but if they are more than that, they shall be sharers in the third after (payment of) any bequest that may have been bequeathed or a debt that does not harm (others); this is an ordinance from Allah: and Allah is Knowing, Forbearing. YUSUFALI: Those are limits set by Allah: those who obey Allah and His Messenger will be admitted to Gardens with rivers flowing beneath, to abide therein (for ever) and that will be the supreme achievement. PICKTHAL: These are the limits (imposed by) Allah. Whoso obeyeth Allah and His messenger, He will make him enter Gardens underneath which rivers flow, where such will dwell for ever. That will be the great success. SHAKIR: These are Allah's limits, and whoever obeys Allah and His Messenger, He will cause him to enter gardens beneath which rivers flow, to abide in them; and this is the great achievement. YUSUFALI: But those who disobey Allah and His Messenger and transgress His limits will be admitted to a Fire, to abide therein: And they shall have a humiliating punishment. PICKTHAL: And whoso disobeyeth Allah and His messenger and transgresseth His limits, He will make him enter Fire, where he will dwell for ever; his will be a shameful doom. SHAKIR: And whoever disobeys Allah and His Messenger and goes beyond His limits, He will cause him to enter fire to abide in it, and he shall have an abasing chastisement. PICKTHAL: As for those of your women who are guilty of lewdness, call to witness four of you against them. And if they testify (to the truth of the allegation) then confine them to the houses until death take them or (until) Allah appoint for them a way (through new legislation). SHAKIR: And as for those who are guilty of an indecency from among your women, call to witnesses against them four (witnesses) from among you; then if they bear witness confine them to the houses until death takes them away or Allah opens some way for them. YUSUFALI: If two men among you are guilty of lewdness, punish them both. If they repent and amend, Leave them alone; for Allah is Oft-returning, Most Merciful. PICKTHAL: And as for the two of you who are guilty thereof, punish them both. And if they repent and improve, then let them be. Lo! Allah is ever relenting, Merciful. SHAKIR: And as for the two who are guilty of indecency from among you, give them both a punishment; then if they repent and amend, turn aside from them; surely Allah is Oft-returning (to mercy), the Merciful. YUSUFALI: Allah accept the repentance of those who do evil in ignorance and repent soon afterwards; to them will Allah turn in mercy: For Allah is full of knowledge and wisdom. PICKTHAL: Forgiveness is only incumbent on Allah toward those who do evil in ignorance (and) then turn quickly (in repentance) to Allah. These are they toward whom Allah relenteth. Allah is ever Knower, Wise. SHAKIR: Repentance with Allah is only for those who do evil in ignorance, then turn (to Allah) soon, so these it is to whom Allah turns (mercifully), and Allah is ever Knowing, Wise. YUSUFALI: Of no effect is the repentance of those who continue to do evil, until death faces one of them, and he says, "Now have I repented indeed;" nor of those who die rejecting Faith: for them have We prepared a punishment most grievous. PICKTHAL: The forgiveness is not for those who do ill-deeds until, when death attendeth upon one of them, he saith: Lo! I repent now; nor yet for those who die while they are disbelievers. For such We have prepared a painful doom. SHAKIR: And repentance is not for those who go on doing evil deeds, until when death comes to one of them, he says: Surely now I repent; nor (for) those who die while they are unbelievers. These are they for whom We have prepared a painful chastisement. YUSUFALI: O ye who believe! Ye are forbidden to inherit women against their will. Nor should ye treat them with harshness, that ye may Take away part of the dower ye have given them,-except where they have been guilty of open lewdness; on the contrary live with them on a footing of kindness and equity. If ye take a dislike to them it may be that ye dislike a thing, and Allah brings about through it a great deal of good. PICKTHAL: O ye who believe! It is not lawful for you forcibly to inherit the women (of your deceased kinsmen), nor (that) ye should put constraint upon them that ye may take away a part of that which ye have given them, unless they be guilty of flagrant lewdness. But consort with them in kindness, for if ye hate them it may happen that ye hate a thing wherein Allah hath placed much good. SHAKIR: O you who believe! it is not lawful for you that you should take women as heritage against (their) will, and do not straiten them m order that you may take part of what you have given them, unless they are guilty of manifest indecency, and treat them kindly; then if you hate them, it may be that you dislike a thing while Allah has placed abundant good in it. YUSUFALI: But if ye decide to take one wife in place of another, even if ye had given the latter a whole treasure for dower, Take not the least bit of it back: Would ye take it by slander and manifest wrong? PICKTHAL: And if ye wish to exchange one wife for another and ye have given unto one of them a sum of money (however great), take nothing from it. Would ye take it by the way of calumny and open wrong? SHAKIR: And if you wish to have (one) wife in place of another and you have given one of them a heap of gold, then take not from it anything; would you take it by slandering (her) and (doing her) manifest wrong? YUSUFALI: And how could ye take it when ye have gone in unto each other, and they have Taken from you a solemn covenant? PICKTHAL: How can ye take it (back) after one of you hath gone in unto the other, and they have taken a strong pledge from you? SHAKIR: And how can you take it when one of you has already gone in to the other and they have made with you a firm covenant? YUSUFALI: And marry not women whom your fathers married,- except what is past: It was shameful and odious,- an abominable custom indeed. PICKTHAL: And marry not those women whom your fathers married, except what hath already happened (of that nature) in the past. Lo! it was ever lewdness and abomination, and an evil way. SHAKIR: And marry not woman whom your fathers married, except what has already passed; this surely is indecent and hateful, and it is an evil way. PICKTHAL: Forbidden unto you are your mothers, and your daughters, and your sisters, and your father's sisters, and your mother's sisters, and your brother's daughters and your sister's daughters, and your foster-mothers, and your foster-sisters, and your mothers-in-law, and your step-daughters who are under your protection (born) of your women unto whom ye have gone in - but if ye have not gone in unto them, then it is no sin for you (to marry their daughters) - and the wives of your sons who (spring) from your own loins. And (it is forbidden unto you) that ye should have two sisters together, except what hath already happened (of that nature) in the past. Lo! Allah is ever Forgiving, Merciful. SHAKIR: Forbidden to you are your mothers and your daughters and your sisters and your paternal aunts and your maternal aunts and brothers' daughters and sisters' daughters and your mothers that have suckled you and your foster-sisters and mothers of your wives and your step-daughters who are in your guardianship, (born) of your wives to whom you have gone in, but if you have not gone in to them, there is no blame on you (in marrying them), and the wives of your sons who are of your own loins and that you should have two sisters together, except what has already passed; surely Allah is Forgiving, Merciful. PICKTHAL: And all married women (are forbidden unto you) save those (captives) whom your right hands possess. It is a decree of Allah for you. Lawful unto you are all beyond those mentioned, so that ye seek them with your wealth in honest wedlock, not debauchery. And those of whom ye seek content (by marrying them), give unto them their portions as a duty. And there is no sin for you in what ye do by mutual agreement after the duty (hath been done). Lo! Allah is ever Knower, Wise. SHAKIR: And all married women except those whom your right hands possess (this is) Allah's ordinance to you, and lawful for you are (all women) besides those, provided that you seek (them) with your property, taking (them) in marriage not committing fornication. Then as to those whom you profit by, give them their dowries as appointed; and there is no blame on you about what you mutually agree after what is appointed; surely Allah is Knowing, Wise. YUSUFALI: If any of you have not the means wherewith to wed free believing women, they may wed believing girls from among those whom your right hands possess: And Allah hath full knowledge about your faith. Ye are one from another: Wed them with the leave of their owners, and give them their dowers, according to what is reasonable: They should be chaste, not lustful, nor taking paramours: when they are taken in wedlock, if they fall into shame, their punishment is half that for free women. This (permission) is for those among you who fear sin; but it is better for you that ye practise self-restraint. And Allah is Oft-forgiving, Most Merciful. PICKTHAL: And whoso is not able to afford to marry free, believing women, let them marry from the believing maids whom your right hands possess. Allah knoweth best (concerning) your faith. Ye (proceed) one from another; so wed them by permission of their folk, and give unto them their portions in kindness, they being honest, not debauched nor of loose conduct. And if when they are honourably married they commit lewdness they shall incur the half of the punishment (prescribed) for free women (in that case). This is for him among you who feareth to commit sin. But to have patience would be better for you. Allah is Forgiving, Merciful. SHAKIR: And whoever among you has not within his power ampleness of means to marry free believing women, then (he may marry) of those whom your right hands possess from among your believing maidens; and Allah knows best your faith: you are (sprung) the one from the other; so marry them with the permission of their masters, and give them their dowries justly, they being chaste, not fornicating, nor receiving paramours; and when they are taken in marriage, then if they are guilty of indecency, they shall suffer half the punishment which is (inflicted) upon free women. This is for him among you who fears falling into evil; and that you abstain is better for you, and Allah is Forgiving, Merciful. YUSUFALI: Allah doth wish to make clear to you and to show you the ordinances of those before you; and (He doth wish to) turn to you (In Mercy): And Allah is All-knowing, All-wise. PICKTHAL: Allah would explain to you and guide you by the examples of those who were before you, and would turn to you in mercy. Allah is Knower, Wise. SHAKIR: Allah desires to explain to you, and to guide you into the ways of those before you, and to turn to you (mercifully), and Allah is Knowing, Wise. YUSUFALI: Allah doth wish to Turn to you, but the wish of those who follow their lusts is that ye should turn away (from Him),- far, far away. PICKTHAL: And Allah would turn to you in mercy; but those who follow vain desires would have you go tremendously astray. SHAKIR: And Allah desires that He should turn to you (mercifully), and those who follow (their) lusts desire that you should deviate (with) a great deviation. YUSUFALI: Allah doth wish to lighten your (difficulties): For man was created Weak (in flesh). PICKTHAL: Allah would make the burden light for you, for man was created weak. SHAKIR: Allah desires that He should make light your burdens, and man is created weak. YUSUFALI: O ye who believe! Eat not up your property among yourselves in vanities: But let there be amongst you Traffic and trade by mutual good-will: Nor kill (or destroy) yourselves: for verily Allah hath been to you Most Merciful! PICKTHAL: O ye who believe! Squander not your wealth among yourselves in vanity, except it be a trade by mutual consent, and kill not one another. Lo! Allah is ever Merciful unto you. SHAKIR: O you who believe! do not devour your property among yourselves falsely, except that it be trading by your mutual consent; and do not kill your people; surely Allah is Merciful to you. YUSUFALI: If any do that in rancour and injustice,- soon shall We cast them into the Fire: And easy it is for Allah. PICKTHAL: Whoso doeth that through aggression and injustice, we shall cast him into Fire, and that is ever easy for Allah. SHAKIR: And whoever does this aggressively and unjustly, We will soon cast him into fire; and this is easy to Allah. YUSUFALI: If ye (but) eschew the most heinous of the things which ye are forbidden to do, We shall expel out of you all the evil in you, and admit you to a gate of great honour. PICKTHAL: If ye avoid the great (things) which ye are forbidden, We will remit from you your evil deeds and make you enter at a noble gate. SHAKIR: If you shun the great sins which you are forbidden, We will do away with your small sins and cause you to enter an honorable place of entering. YUSUFALI: And in no wise covet those things in which Allah Hath bestowed His gifts More freely on some of you than on others: To men is allotted what they earn, and to women what they earn: But ask Allah of His bounty. For Allah hath full knowledge of all things. PICKTHAL: And covet not the thing in which Allah hath made some of you excel others. Unto men a fortune from that which they have earned, and unto women a fortune from that which they have earned. (Envy not one another) but ask Allah of His bounty. Lo! Allah is ever Knower of all things. SHAKIR: And do not covet that by which Allah has made some of you excel others; men shall have the benefit of what they earn and women shall have the benefit of what they earn; and ask Allah of His grace; surely Allah knows all things. YUSUFALI: To (benefit) every one, We have appointed shares and heirs to property left by parents and relatives. To those, also, to whom your right hand was pledged, give their due portion. For truly Allah is witness to all things. PICKTHAL: And unto each We have appointed heirs of that which parents and near kindred leave; and as for those with whom your right hands have made a covenant, give them their due. Lo! Allah is ever Witness over all things. SHAKIR: And to every one We have appointed heirs of what parents and near relatives leave; and as to those with whom your rights hands have ratified agreements, give them their portion; surely Allah is a witness over all things. PICKTHAL: Men are in charge of women, because Allah hath made the one of them to excel the other, and because they spend of their property (for the support of women). So good women are the obedient, guarding in secret that which Allah hath guarded. As for those from whom ye fear rebellion, admonish them and banish them to beds apart, and scourge them. Then if they obey you, seek not a way against them. Lo! Allah is ever High, Exalted, Great. YUSUFALI: If ye fear a breach between them twain, appoint (two) arbiters, one from his family, and the other from hers; if they wish for peace, Allah will cause their reconciliation: For Allah hath full knowledge, and is acquainted with all things. PICKTHAL: And if ye fear a breach between them twain (the man and wife), appoint an arbiter from his folk and an arbiter from her folk. If they desire amendment Allah will make them of one mind. Lo! Allah is ever Knower, Aware. SHAKIR: And if you fear a breach between the two, then appoint judge from his people and a judge from her people; if they both desire agreement, Allah will effect harmony between them, surely Allah is Knowing, Aware. SHAKIR: Those who are niggardly and bid people to be niggardly and hide what Allah has given them out of His grace; and We have prepared for the unbelievers a disgraceful chastisement. YUSUFALI: Not those who spend of their substance, to be seen of men, but have no faith in Allah and the Last Day: If any take the Evil One for their intimate, what a dreadful intimate he is! PICKTHAL: And (also) those who spend their wealth in order to be seen of men, and believe not in Allah nor the Last Day. Whoso taketh Satan for a comrade, a bad comrade hath he. SHAKIR: And those who spend their property (in alms) to be seen of the people and do not believe in Allah nor in the last day; and as for him whose associate is the Shaitan, an evil associate is he! YUSUFALI: And what burden Were it on them if they had faith in Allah and in the Last Day, and they spent out of what Allah hath given them for sustenance? For Allah hath full knowledge of them. PICKTHAL: What have they (to fear) if they believe in Allah and the Last Day and spend (aright) of that which Allah hath bestowed upon them, when Allah is ever Aware of them (and all they do)? SHAKIR: And what (harm) would it have done them if they had believed in Allah and the last day and spent (benevolently) of what Allah had given them? And Allah knows them. YUSUFALI: Allah is never unjust in the least degree: If there is any good (done), He doubleth it, and giveth from His own presence a great reward. PICKTHAL: Lo! Allah wrongeth not even of the weight of an ant; and if there is a good deed, He will double it and will give (the doer) from His presence an immense reward. SHAKIR: Surely Allah does not do injustice to the weight of an atom, and if it is a good deed He multiplies it and gives from Himself a great reward. YUSUFALI: How then if We brought from each people a witness, and We brought thee as a witness against these people! PICKTHAL: But how (will it be with them) when We bring of every people a witness, and We bring thee (O Muhammad) a witness against these? SHAKIR: How will it be, then, when We bring from every people a witness and bring you as a witness against these? YUSUFALI: On that day those who reject Faith and disobey the messenger will wish that the earth Were made one with them: But never will they hide a single fact from Allah! PICKTHAL: On that day those who disbelieved and disobeyed the messenger will wish that they were level with the ground, and they can hide no fact from Allah. SHAKIR: On that day will those who disbelieve and disobey the Messenger desire that the earth were levelled with them, and they shall not hide any word from Allah. YUSUFALI: O ye who believe! Approach not prayers with a mind befogged, until ye can understand all that ye say,- nor in a state of ceremonial impurity (Except when travelling on the road), until after washing your whole body. If ye are ill, or on a journey, or one of you cometh from offices of nature, or ye have been in contact with women, and ye find no water, then take for yourselves clean sand or earth, and rub therewith your faces and hands. For Allah doth blot out sins and forgive again and again. PICKTHAL: O ye who believe! Draw not near unto prayer when ye are drunken, till ye know that which ye utter, nor when ye are polluted, save when journeying upon the road, till ye have bathed. And if ye be ill, or on a journey, or one of you cometh from the closet, or ye have touched women, and ye find not water, then go to high clean soil and rub your faces and your hands (therewith). Lo! Allah is Benign, Forgiving. SHAKIR: O you who believe! do not go near prayer when you are Intoxicated until you know (well) what you say, nor when you are under an obligation to perform a bath-- unless (you are) travelling on the road-- until you have washed yourselves; and if you are sick, or on a journey, or one of you come from the privy or you have touched the women, and you cannot find water, betake yourselves to pure earth, then wipe your faces and your hands; surely Allah is Pardoning, Forgiving. YUSUFALI: Hast thou not turned Thy vision to those who were given a portion of the Book? they traffic in error, and wish that ye should lose the right path. PICKTHAL: Seest thou not those unto whom a portion of the Scripture hath been given, how they purchase error, and seek to make you (Muslims) err from the right way? SHAKIR: Have you not considered those to whom a portion of the Book has been given? They buy error and desire that you should go astray from the way. YUSUFALI: But Allah hath full knowledge of your enemies: Allah is enough for a protector, and Allah is enough for a Helper. PICKTHAL: Allah knoweth best (who are) your enemies. Allah is sufficient as a Guardian, and Allah is sufficient as a Supporter. SHAKIR: And Allah best knows your enemies; and Allah suffices as a Guardian, and Allah suffices as a Helper. YUSUFALI: Of the Jews there are those who displace words from their (right) places, and say: "We hear and we disobey"; and "Hear what is not Heard"; and "Ra'ina"; with a twist of their tongues and a slander to Faith. If only they had said: "What hear and we obey"; and "Do hear"; and "Do look at us"; it would have been better for them, and more proper; but Allah hath cursed them for their Unbelief; and but few of them will believe. PICKTHAL: Some of those who are Jews change words from their context and say: "We hear and disobey; hear thou as one who heareth not" and "Listen to us!" distorting with their tongues and slandering religion. If they had said: "We hear and we obey: hear thou, and look at us" it had been better for them, and more upright. But Allah hath cursed them for their disbelief, so they believe not, save a few. SHAKIR: Of those who are Jews (there are those who) alter words from their places and say: We have heard and we disobey and: Hear, may you not be made to hear! and: Raina, distorting (the word) with their tongues and taunting about religion; and if they had said (instead): We have heard and we obey, and hearken, and unzurna it would have been better for them and more upright; but Allah has cursed them on account of their unbelief, so they do not believe but a little. YUSUFALI: O ye People of the Book! believe in what We have (now) revealed, confirming what was (already) with you, before We change the face and fame of some (of you) beyond all recognition, and turn them hindwards, or curse them as We cursed the Sabbath-breakers, for the decision of Allah Must be carried out. PICKTHAL: O ye unto whom the Scripture hath been given! Believe in what We have revealed confirming that which ye possess, before We destroy countenances so as to confound them, or curse them as We cursed the Sabbath-breakers (of old time). The commandment of Allah is always executed. SHAKIR: O you who have been given the Book! believe that which We have revealed, verifying what you have, before We alter faces then turn them on their backs, or curse them as We cursed the violaters of the Sabbath, and the command of Allah shall be executed. YUSUFALI: Allah forgiveth not that partners should be set up with Him; but He forgiveth anything else, to whom He pleaseth; to set up partners with Allah is to devise a sin Most heinous indeed. PICKTHAL: Lo! Allah forgiveth not that a partner should be ascribed unto Him. He forgiveth (all) save that to whom He will. Whoso ascribeth partners to Allah, he hath indeed invented a tremendous sin. SHAKIR: Surely Allah does not forgive that anything should be associated with Him, and forgives what is besides that to whomsoever He pleases; and whoever associates anything with Allah, he devises indeed a great sin. YUSUFALI: Hast thou not turned Thy vision to those who claim sanctity for themselves? Nay-but Allah Doth sanctify whom He pleaseth. But never will they fail to receive justice in the least little thing. PICKTHAL: Hast thou not seen those who praise themselves for purity? Nay, Allah purifieth whom He will, and they will not be wronged even the hair upon a date-stone. SHAKIR: Have you not considered those who attribute purity to themselves? Nay, Allah purifies whom He pleases; and they shall not be wronged the husk of a date stone. YUSUFALI: Behold! how they invent a lie against Allah! but that by itself is a manifest sin! PICKTHAL: See, how they invent lies about Allah! That of itself is flagrant sin. SHAKIR: See how they forge the lie against Allah, and this is sufficient as a manifest sin. YUSUFALI: Hast thou not turned Thy vision to those who were given a portion of the Book? they believe in sorcery and Evil, and say to the Unbelievers that they are better guided in the (right) way Than the believers! PICKTHAL: Hast thou not seen those unto whom a portion of the Scripture hath been given, how they believe in idols and false deities, and how they say of those (idolaters) who disbelieve: "These are more rightly guided than those who believe"? SHAKIR: Have you not seen those to whom a portion of the Book has been given? They believe in idols and false deities and say of those who disbelieve: These are better guided in the path than those who believe. YUSUFALI: They are (men) whom Allah hath cursed: And those whom Allah Hath cursed, thou wilt find, have no one to help. PICKTHAL: Those are they whom Allah hath cursed, and he whom Allah hath cursed, thou (O Muhammad) wilt find for him no helper. SHAKIR: Those are they whom Allah has cursed, and whomever Allah curses you shall not find any helper for him. YUSUFALI: Have they a share in dominion or power? Behold, they give not a farthing to their fellow-men? PICKTHAL: Or have they even a share in the Sovereignty? Then in that case, they would not give mankind even the speck on a date-stone. SHAKIR: Or have they a share in the kingdom? But then they would not give to people even the speck in the date stone. YUSUFALI: Or do they envy mankind for what Allah hath given them of his bounty? but We had already given the people of Abraham the Book and Wisdom, and conferred upon them a great kingdom. PICKTHAL: Or are they jealous of mankind because of that which Allah of His bounty hath bestowed upon them? For We bestowed upon the house of Abraham (of old) the Scripture and wisdom, and We bestowed on them a mighty kingdom. SHAKIR: Or do they envy the people for what Allah has given them of His grace? But indeed We have given to Ibrahim's children the Book and the wisdom, and We have given them a grand kingdom. YUSUFALI: Some of them believed, and some of them averted their faces from him: And enough is Hell for a burning fire. PICKTHAL: And of them were (some) who believed therein and of them were (some) who turned away from it. Hell is sufficient for (their) burning. SHAKIR: So of them is he who believes in him, and of them is he who turns away from him, and hell is sufficient to burn. YUSUFALI: Those who reject our Signs, We shall soon cast into the Fire: as often as their skins are roasted through, We shall change them for fresh skins, that they may taste the penalty: for Allah is Exalted in Power, Wise. PICKTHAL: Lo! Those who disbelieve Our revelations, We shall expose them to the Fire. As often as their skins are consumed We shall exchange them for fresh skins that they may taste the torment. Lo! Allah is ever Mighty, Wise. YUSUFALI: But those who believe and do deeds of righteousness, We shall soon admit to Gardens, with rivers flowing beneath,- their eternal home: Therein shall they have companions pure and holy: We shall admit them to shades, cool and ever deepening. PICKTHAL: And as for those who believe and do good works, We shall make them enter Gardens underneath which rivers flow - to dwell therein for ever; there for them are pure companions - and We shall make them enter plenteous shade. SHAKIR: And (as for) those who believe and do good deeds, We will make them enter gardens beneath which rivers flow, to abide in them for ever; they shall have therein pure mates, and We shall make them enter a dense shade. PICKTHAL: Lo! Allah commandeth you that ye restore deposits to their owners, and, if ye judge between mankind, that ye judge justly. Lo! comely is this which Allah admonisheth you. Lo! Allah is ever Hearer, Seer. SHAKIR: Surely Allah commands you to make over trusts to their owners and that when you judge between people you judge with justice; surely Allah admonishes you with what is excellent; surely Allah is Seeing, Hearing. YUSUFALI: O ye who believe! Obey Allah, and obey the Messenger, and those charged with authority among you. If ye differ in anything among yourselves, refer it to Allah and His Messenger, if ye do believe in Allah and the Last Day: That is best, and most suitable for final determination. PICKTHAL: O ye who believe! Obey Allah, and obey the messenger and those of you who are in authority; and if ye have a dispute concerning any matter, refer it to Allah and the messenger if ye are (in truth) believers in Allah and the Last Day. That is better and more seemly in the end. YUSUFALI: Hast thou not turned Thy vision to those who declare that they believe in the revelations that have come to thee and to those before thee? Their (real) wish is to resort together for judgment (in their disputes) to the Evil One, though they were ordered to reject him. But Satan's wish is to lead them astray far away (from the right). PICKTHAL: Hast thou not seen those who pretend that they believe in that which is revealed unto thee and that which was revealed before thee, how they would go for judgment (in their disputes) to false deities when they have been ordered to abjure them? Satan would mislead them far astray. SHAKIR: Have you not seen those who assert that they believe in what has been revealed to you and what was revealed before you? They desire to summon one another to the judgment of the Shaitan, though they were commanded to deny him, and the Shaitan desires to lead them astray into a remote error. YUSUFALI: When it is said to them: "Come to what Allah hath revealed, and to the Messenger": Thou seest the Hypocrites avert their faces from thee in disgust. PICKTHAL: And when it is said unto them: Come unto that which Allah hath revealed and unto the messenger, thou seest the hypocrites turn from thee with aversion. SHAKIR: And when it is said to them: Come to what Allah has revealed and to the Messenger, you will see the hypocrites turning away from you with (utter) aversion. YUSUFALI: How then, when they are seized by misfortune, because of the deeds which they hands have sent forth? Then their come to thee, swearing by Allah: "We meant no more than good-will and conciliation!" PICKTHAL: How would it be if a misfortune smote them because of that which their own hands have sent before (them)? Then would they come unto thee, swearing by Allah that they were seeking naught but harmony and kindness. SHAKIR: But how will it be when misfortune befalls them on account of what their hands have sent before? Then they will come to you swearing by Allah: We did not desire (anything) but good and concord. YUSUFALI: Those men,-Allah knows what is in their hearts; so keep clear of them, but admonish them, and speak to them a word to reach their very souls. PICKTHAL: Those are they, the secrets of whose hearts Allah knoweth. So oppose them and admonish them, and address them in plain terms about their souls. SHAKIR: These are they of whom Allah knows what is in their hearts; therefore turn aside from them and admonish them, and speak to them effectual words concerning themselves. YUSUFALI: We sent not a messenger, but to be obeyed, in accordance with the will of Allah. If they had only, when they were unjust to themselves, come unto thee and asked Allah's forgiveness, and the Messenger had asked forgiveness for them, they would have found Allah indeed Oft-returning, Most Merciful. PICKTHAL: We sent no messenger save that he should be obeyed by Allah's leave. And if, when they had wronged themselves, they had but come unto thee and asked forgiveness of Allah, and asked forgiveness of the messenger, they would have found Allah Forgiving, Merciful. SHAKIR: And We did not send any messenger but that he should be obeyed by Allah's permission; and had they, when they were unjust to themselves, come to you and asked forgiveness of Allah and the Messenger had (also) asked forgiveness for them, they would have found Allah Oft-returning (to mercy), Merciful. YUSUFALI: But no, by the Lord, they can have no (real) Faith, until they make thee judge in all disputes between them, and find in their souls no resistance against Thy decisions, but accept them with the fullest conviction. PICKTHAL: But nay, by thy Lord, they will not believe (in truth) until they make thee judge of what is in dispute between them and find within themselves no dislike of that which thou decidest, and submit with full submission. SHAKIR: But no! by your Lord! they do not believe (in reality) until they make you a judge of that which has become a matter of disagreement among them, and then do not find any straitness in their hearts as to what you have decided and submit with entire submission. SHAKIR: And then We would certainly have given them from Ourselves a great reward. YUSUFALI: And We should have shown them the Straight Way. PICKTHAL: And should guide them unto a straight path. SHAKIR: And We would certainly have guided them in the right path. YUSUFALI: All who obey Allah and the messenger are in the company of those on whom is the Grace of Allah,- of the prophets (who teach), the sincere (lovers of Truth), the witnesses (who testify), and the Righteous (who do good): Ah! what a beautiful fellowship! PICKTHAL: Whoso obeyeth Allah and the messenger, they are with those unto whom Allah hath shown favour, of the prophets and the saints and the martyrs and the righteous. The best of company are they! SHAKIR: And whoever obeys Allah and the Messenger, these are with those upon whom Allah has bestowed favors from among the prophets and the truthful and the martyrs and the good, and a goodly company are they! YUSUFALI: Such is the bounty from Allah: And sufficient is it that Allah knoweth all. PICKTHAL: That is bounty from Allah, and Allah sufficeth as Knower. SHAKIR: This is grace from Allah, and sufficient is Allah as the Knower. YUSUFALI: O ye who believe! Take your precautions, and either go forth in parties or go forth all together. PICKTHAL: O ye who believe! Take your precautions, then advance the proven ones, or advance all together. SHAKIR: O you who believe! take your precaution, then go forth in detachments or go forth in a body. YUSUFALI: There are certainly among you men who would tarry behind: If a misfortune befalls you, they say: "Allah did favour us in that we were not present among them." PICKTHAL: Lo! among you there is he who loitereth; and if disaster overtook you, he would say: Allah hath been gracious unto me since I was not present with them. SHAKIR: And surely among you is he who would certainly hang back! If then a misfortune befalls you he says: Surely Allah conferred a benefit on me that I was not present with them. YUSUFALI: But if good fortune comes to you from Allah, they would be sure to say - as if there had never been Ties of affection between you and them - "Oh! I wish I had been with them; a fine thing should I then have made of it!" PICKTHAL: And if a bounty from Allah befell you, he would surely cry, as if there had been no love between you and him: Oh, would that I had been with them, then should I have achieved a great success! SHAKIR: And if grace from Allah come to you, he would certainly cry out, as if there had not been any friendship between you and him: Would that I had been with them, then I should have attained a mighty good fortune. YUSUFALI: Let those fight in the cause of Allah Who sell the life of this world for the hereafter. To him who fighteth in the cause of Allah,- whether he is slain or gets victory - Soon shall We give him a reward of great (value). PICKTHAL: Let those fight in the way of Allah who sell the life of this world for the other. Whoso fighteth in the way of Allah, be he slain or be he victorious, on him We shall bestow a vast reward. SHAKIR: Therefore let those fight in the way of Allah, who sell this world's life for the hereafter; and whoever fights in the way of Allah, then be he slain or be he victorious, We shall grant him a mighty reward. YUSUFALI: And why should ye not fight in the cause of Allah and of those who, being weak, are ill-treated (and oppressed)?- Men, women, and children, whose cry is: "Our Lord! Rescue us from this town, whose people are oppressors; and raise for us from thee one who will protect; and raise for us from thee one who will help!" PICKTHAL: How should ye not fight for the cause of Allah and of the feeble among men and of the women and the children who are crying: Our Lord! Bring us forth from out this town of which the people are oppressors! Oh, give us from thy presence some protecting friend! Oh, give us from Thy presence some defender! SHAKIR: And what reason have you that you should not fight in the way of Allah and of the weak among the men and the women and the children, (of) those who say: Our Lord! cause us to go forth from this town, whose people are oppressors, and give us from Thee a guardian and give us from Thee a helper. YUSUFALI: Those who believe fight in the cause of Allah, and those who reject Faith Fight in the cause of Evil: So fight ye against the friends of Satan: feeble indeed is the cunning of Satan. PICKTHAL: Those who believe do battle for the cause of Allah; and those who disbelieve do battle for the cause of idols. So fight the minions of the devil. Lo! the devil's strategy is ever weak. SHAKIR: Those who believe fight in the way of Allah, and those who disbelieve fight in the way of the Shaitan. Fight therefore against the friends of the Shaitan; surely the strategy of the Shaitan is weak. YUSUFALI: Hast thou not turned Thy vision to those who were told to hold back their hands (from fight) but establish regular prayers and spend in regular charity? When (at length) the order for fighting was issued to them, behold! a section of them feared men as - or even more than - they should have feared Allah: They said: "Our Lord! Why hast Thou ordered us to fight? Wouldst Thou not Grant us respite to our (natural) term, near (enough)?" Say: "Short is the enjoyment of this world: the Hereafter is the best for those who do right: Never will ye be dealt with unjustly in the very least! PICKTHAL: Hast thou not seen those unto whom it was said: Withhold your hands, establish worship and pay the poordue, but when fighting was prescribed for them behold! a party of them fear mankind even as their fear of Allah or with greater fear, and say: Our Lord! Why hast Thou ordained fighting for us? If only Thou wouldst give us respite yet a while! Say (unto them, O Muhammad): The comfort of this world is scant; the Hereafter will be better for him who wardeth off (evil); and ye will not be wronged the down upon a date-stone. SHAKIR: Have you not seen those to whom it was said: Withhold your hands, and keep up prayer and pay the poor-rate; but when fighting is prescribed for them, lo! a party of them fear men as they ought to have feared Allah, or (even) with a greater fear, and say: Our Lord! why hast Thou ordained fighting for us? Wherefore didst Thou not grant us a delay to a near end? Say: The provision of this world is short, and the hereafter is better for him who guards (against evil); and you shall not be wronged the husk of a date stone. YUSUFALI: "Wherever ye are, death will find you out, even if ye are in towers built up strong and high!" If some good befalls them, they say, "This is from Allah"; but if evil, they say, "This is from thee" (O Prophet). Say: "All things are from Allah." But what hath come to these people, that they fail to understand a single fact? PICKTHAL: Wheresoever ye may be, death will overtake you, even though ye were in lofty towers. Yet if a happy thing befalleth them they say: This is from Allah; and if an evil thing befalleth them they say: This is of thy doing (O Muhammad). Say (unto them): All is from Allah. What is amiss with these people that they come not nigh to understand a happening? SHAKIR: Wherever you are, death will overtake you, though you are in lofty towers, and if a benefit comes to them, they say: This is from Allah; and if a misfortune befalls them, they say: This is from you. Say: All is from Allah, but what is the matter with these people that they do not make approach to understanding what is told (them)? YUSUFALI: Whatever good, (O man!) happens to thee, is from Allah; but whatever evil happens to thee, is from thy (own) soul. and We have sent thee as a messenger to (instruct) mankind. And enough is Allah for a witness. PICKTHAL: Whatever of good befalleth thee (O man) it is from Allah, and whatever of ill befalleth thee it is from thyself. We have sent thee (Muhammad) as a messenger unto mankind and Allah is sufficient as Witness. SHAKIR: Whatever benefit comes to you (O man! ), it is from Allah, and whatever misfortune befalls you, it is from yourself, and We have sent you (O Prophet! ), to mankind as a messenger; and Allah is sufficient as a witness. YUSUFALI: He who obeys the Messenger, obeys Allah: But if any turn away, We have not sent thee to watch over their (evil deeds). PICKTHAL: Whoso obeyeth the messenger hath obeyed Allah, and whoso turneth away: We have not sent thee as a warder over them. SHAKIR: Whoever obeys the Messenger, he indeed obeys Allah, and whoever turns back, so We have not sent you as a keeper over them. YUSUFALI: They have "Obedience" on their lips; but when they leave thee, a section of them Meditate all night on things very different from what thou tellest them. But Allah records their nightly (plots): So keep clear of them, and put thy trust in Allah, and enough is Allah as a disposer of affairs. PICKTHAL: And they say: (It is) obedience; but when they have gone forth from thee a party of them spend the night in planning other than what thou sayest. Allah recordeth what they plan by night. So oppose them and put thy trust in Allah. Allah is sufficient as Trustee. SHAKIR: And they say: Obedience. But when they go out from your presence, a party of them decide by night upon doing otherwise than what you say; and Allah writes down what they decide by night, therefore turn aside from them and trust in Allah, and Allah is sufficient as a protector. YUSUFALI: Do they not consider the Qur'an (with care)? Had it been from other Than Allah, they would surely have found therein Much discrepancy. PICKTHAL: Will they not then ponder on the Qur'an? If it had been from other than Allah they would have found therein much incongruity. SHAKIR: Do they not then meditate on the Quran? And if it were from any other than Allah, they would have found in it many a discrepancy. YUSUFALI: When there comes to them some matter touching (Public) safety or fear, they divulge it. If they had only referred it to the Messenger, or to those charged with authority among them, the proper investigators would have Tested it from them (direct). Were it not for the Grace and Mercy of Allah unto you, all but a few of you would have fallen into the clutches of Satan. PICKTHAL: And if any tidings, whether of safety or fear, come unto them, they noise it abroad, whereas if they had referred it to the messenger and to such of them as are in authority, those among them who are able to think out the matter would have known it. If it had not been for the grace of Allah upon you and His mercy ye would have followed Satan, save a few (of you). YUSUFALI: Then fight in Allah's cause - Thou art held responsible only for thyself - and rouse the believers. It may be that Allah will restrain the fury of the Unbelievers; for Allah is the strongest in might and in punishment. PICKTHAL: So fight (O Muhammad) in the way of Allah Thou art not taxed (with the responsibility for anyone) except thyself - and urge on the believers. Peradventure Allah will restrain the might of those who disbelieve. Allah is stronger in might and stronger in inflicting punishment. SHAKIR: Fight then in Allah's way; this is not imposed on you except In relation to yourself, and rouse the believers to ardor maybe Allah will restrain the fighting of those who disbelieve and Allah is strongest in prowess and strongest to give an exemplary punishment. YUSUFALI: Whoever recommends and helps a good cause becomes a partner therein: And whoever recommends and helps an evil cause, shares in its burden: And Allah hath power over all things. PICKTHAL: Whoso interveneth in a good cause will have the reward thereof, and whoso interveneth in an evil cause will bear the consequence thereof. Allah overseeth all things. SHAKIR: Whoever joins himself (to another) in a good cause shall have a share of it, and whoever joins himself (to another) in an evil cause shall have the responsibility of it, and Allah controls all things. YUSUFALI: When a (courteous) greeting is offered you, meet it with a greeting still more courteous, or (at least) of equal courtesy. Allah takes careful account of all things. PICKTHAL: When ye are greeted with a greeting, greet ye with a better than it or return it. Lo! Allah taketh count of all things. SHAKIR: And when you are greeted with a greeting, greet with a better (greeting) than it or return it; surely Allah takes account of all things. YUSUFALI: Allah! There is no god but He: of a surety He will gather you together against the Day of Judgment, about which there is no doubt. And whose word can be truer than Allah's? PICKTHAL: Allah! There is no Allah save Him. He gathereth you all unto a Day of Resurrection whereof there is no doubt. Who is more true in statement than Allah? SHAKIR: Allah, there is no god but He-- He will most certainly gather you together on the resurrection day, there is no doubt in it; and who is more true in word than Allah? YUSUFALI: Why should ye be divided into two parties about the Hypocrites? Allah hath upset them for their (evil) deeds. Would ye guide those whom Allah hath thrown out of the Way? For those whom Allah hath thrown out of the Way, never shalt thou find the Way. PICKTHAL: What aileth you that ye are become two parties regarding the hypocrites, when Allah cast them back (to disbelief) because of what they earned? Seek ye to guide him whom Allah hath sent astray? He whom Allah sendeth astray, for him thou (O MUhammad) canst not find a road. SHAKIR: What is the matter with you, then, that you have become two parties about the hypocrites, while Allah has made them return (to unbelief) for what they have earned? Do you wish to guide him whom Allah has caused to err? And whomsoever Allah causes to err, you shall by no means find a way for him. YUSUFALI: Except those who join a group between whom and you there is a treaty (of peace), or those who approach you with hearts restraining them from fighting you as well as fighting their own people. If Allah had pleased, He could have given them power over you, and they would have fought you: Therefore if they withdraw from you but fight you not, and (instead) send you (Guarantees of) peace, then Allah Hath opened no way for you (to war against them). PICKTHAL: Except those who seek refuge with a people between whom and you there is a covenant, or (those who) come unto you because their hearts forbid them to make war on you or make war on their own folk. Had Allah willed He could have given them power over you so that assuredly they would have fought you. So, if they hold aloof from you and wage not war against you and offer you peace, Allah alloweth you no way against them. SHAKIR: Except those who reach a people between whom and you there is an alliance, or who come to you, their hearts shrinking from fighting you or fighting their own people; and if Allah had pleased, He would have given them power over you, so that they should have certainly fought you; therefore if they withdraw from you and do not fight you and offer you peace, then Allah has not given you a way against them. YUSUFALI: Others you will find that wish to gain your confidence as well as that of their people: Every time they are sent back to temptation, they succumb thereto: if they withdraw not from you nor give you (guarantees) of peace besides restraining their hands, seize them and slay them wherever ye get them: In their case We have provided you with a clear argument against them. PICKTHAL: Ye will find others who desire that they should have security from you, and security from their own folk. So often as they are returned to hostility they are plunged therein. If they keep not aloof from you nor offer you peace nor hold their hands, then take them and kill them wherever ye find them. Against such We have given you clear warrant. SHAKIR: You will find others who desire that they should be safe from you and secure from their own people; as often as they are sent back to the mischief they get thrown into it headlong; therefore if they do not withdraw from you, and (do not) offer you peace and restrain their hands, then seize them and kill them wherever you find them; and against these We have given you a clear authority. YUSUFALI: Never should a believer kill a believer; but (If it so happens) by mistake, (Compensation is due): If one (so) kills a believer, it is ordained that he should free a believing slave, and pay compensation to the deceased's family, unless they remit it freely. If the deceased belonged to a people at war with you, and he was a believer, the freeing of a believing slave (Is enough). If he belonged to a people with whom ye have treaty of Mutual alliance, compensation should be paid to his family, and a believing slave be freed. For those who find this beyond their means, (is prescribed) a fast for two months running: by way of repentance to Allah: for Allah hath all knowledge and all wisdom. PICKTHAL: It is not for a believer to kill a believer unless (it be) by mistake. He who hath killed a believer by mistake must set free a believing slave, and pay the blood-money to the family of the slain, unless they remit it as a charity. If he (the victim) be of a people hostile unto you, and he is a believer, then (the penance is) to set free a believing slave. And if he cometh of a folk between whom and you there is a covenant, then the blood-money must be paid unto his folk and (also) a believing slave must be set free. And whoso hath not the wherewithal must fast two consecutive months. A penance from Allah. Allah is Knower, Wise. SHAKIR: And it does not behoove a believer to kill a believer except by mistake, and whoever kills a believer by mistake, he should free a believing slave, and blood-money should be paid to his people unless they remit it as alms; but if he be from a tribe hostile to you and he is a believer, the freeing of a believing slave (suffices), and if he is from a tribe between whom and you there is a convenant, the blood-money should be paid to his people along with the freeing of a believing slave; but he who cannot find (a slave) should fast for two months successively: a penance from Allah, and Allah is Knowing, Wise. YUSUFALI: If a man kills a believer intentionally, his recompense is Hell, to abide therein (For ever): And the wrath and the curse of Allah are upon him, and a dreadful penalty is prepared for him. PICKTHAL: Whoso slayeth a believer of set purpose, his reward is hell for ever. Allah is wroth against him and He hath cursed him and prepared for him an awful doom. SHAKIR: And whoever kills a believer intentionally, his punishment is hell; he shall abide in it, and Allah will send His wrath on him and curse him and prepare for him a painful chastisement. YUSUFALI: O ye who believe! When ye go abroad in the cause of Allah, investigate carefully, and say not to any one who offers you a salutation: "Thou art none of a believer!" Coveting the perishable goods of this life: with Allah are profits and spoils abundant. Even thus were ye yourselves before, till Allah conferred on you His favours: Therefore carefully investigate. For Allah is well aware of all that ye do. PICKTHAL: O ye who believe! When ye go forth (to fight) in the way of Allah, be careful to discriminate, and say not unto one who offereth you peace: "Thou art not a believer," seeking the chance profits of this life (so that ye may despoil him). With Allah are plenteous spoils. Even thus (as he now is) were ye before; but Allah hath since then been gracious unto you. Therefore take care to discriminate. Allah is ever Informed of what ye do. SHAKIR: O you who believe! when you go to war in Allah's way, make investigation, and do not say to any one who offers you peace: You are not a believer. Do you seek goods of this world's life! But with Allah there are abundant gains; you too were such before, then Allah conferred a benefit on you; therefore make investigation; surely Allah is aware of what you do. YUSUFALI: Ranks specially bestowed by Him, and Forgiveness and Mercy. For Allah is Oft-forgiving, Most Merciful. PICKTHAL: Degrees of rank from Him, and forgiveness and mercy. Allah is ever Forgiving, Merciful. SHAKIR: (High) degrees from Him and protection and mercy, and Allah is Forgiving, Merciful. YUSUFALI: Except those who are (really) weak and oppressed - men, women, and children - who have no means in their power, nor (a guide-post) to their way. PICKTHAL: Except the feeble among men, and the women, and the children, who are unable to devise a plan and are not shown a way. YUSUFALI: For these, there is hope that Allah will forgive: For Allah doth blot out (sins) and forgive again and again. PICKTHAL: As for such, it may be that Allah will pardon them. Allah is ever Clement, Forgiving. SHAKIR: So these, it may be, Allah will pardon them, and Allah is Pardoning, Forgiving. YUSUFALI: He who forsakes his home in the cause of Allah, finds in the earth Many a refuge, wide and spacious: Should he die as a refugee from home for Allah and His Messenger, His reward becomes due and sure with Allah: And Allah is Oft-forgiving, Most Merciful. PICKTHAL: Whoso migrateth for the cause of Allah will find much refuge and abundance in the earth, and whoso forsaketh his home, a fugitive unto Allah and His messenger, and death overtaketh him, his reward is then incumbent on Allah. Allah is ever Forgiving, Merciful. SHAKIR: And whoever flies in Allah's way, he will find in the earth many a place of refuge and abundant resources, and whoever goes forth from his house flying to Allah and His Messenger, and then death overtakes him, his reward is indeed with Allah and Allah is Forgiving, Merciful. YUSUFALI: When thou (O Messenger) art with them, and standest to lead them in prayer, Let one party of them stand up (in prayer) with thee, Taking their arms with them: When they finish their prostrations, let them Take their position in the rear. And let the other party come up which hath not yet prayed - and let them pray with thee, Taking all precaution, and bearing arms: the Unbelievers wish, if ye were negligent of your arms and your baggage, to assault you in a single rush. But there is no blame on you if ye put away your arms because of the inconvenience of rain or because ye are ill; but take (every) precaution for yourselves. For the Unbelievers Allah hath prepared a humiliating punishment. PICKTHAL: And when thou (O Muhammad) art among them and arrangest (their) worship for them, let only a party of them stand with thee (to worship) and let them take their arms. Then when they have performed their prostrations let them fall to the rear and let another party come that hath not worshipped and let them worship with thee, and let them take their precaution and their arms. Those who disbelieve long for you to neglect your arms and your baggage that they may attack you once for all. It is no sin for you to lay aside your arms, if rain impedeth you or ye are sick. But take your precaution. Lo! Allah prepareth for the disbelievers shameful punishment. SHAKIR: And when you are among them and keep up the prayer for them, let a party of them stand up with you, and let them take their arms; then when they have prostrated themselves let them go to your rear, and let another party who have not prayed come forward and pray with you, and let them take their precautions and their arms; (for) those who disbelieve desire that you may be careless of your arms and your luggage, so that they may then turn upon you with a sudden united attack, and there is no blame on you, if you are annoyed with rain or if you are sick, that you lay down your arms, and take your precautions; surely Allah has prepared a disgraceful chastisement for the unbelievers. YUSUFALI: When ye pass (Congregational) prayers, celebrate Allah's praises, standing, sitting down, or lying down on your sides; but when ye are free from danger, set up Regular Prayers: For such prayers are enjoined on believers at stated times. PICKTHAL: When ye have performed the act of worship, remember Allah, standing, sitting and reclining. And when ye are in safety, observe proper worship. Worship at fixed times hath been enjoined on the believers. SHAKIR: Then when you have finished the prayer, remember Allah standing and sitting and reclining; but when you are secure (from danger) keep up prayer; surely prayer is a timed ordinance for the believers. YUSUFALI: And slacken not in following up the enemy: If ye are suffering hardships, they are suffering similar hardships; but ye have Hope from Allah, while they have none. And Allah is full of knowledge and wisdom. PICKTHAL: Relent not in pursuit of the enemy. If ye are suffering, lo! they suffer even as ye suffer and ye hope from Allah that for which they cannot hope. Allah is ever Knower, Wise. SHAKIR: And be not weak hearted in pursuit of the enemy; if you suffer pain, then surely they (too) suffer pain as you suffer pain, and you hope from Allah what they do not hope; and Allah is Knowing, Wise. SHAKIR: Surely We have revealed the Book to you with the truth that you may judge between people by means of that which Allah has taught you; and be not an advocate on behalf of the treacherous. YUSUFALI: But seek the forgiveness of Allah; for Allah is Oft-forgiving, Most Merciful. PICKTHAL: And seek forgiveness of Allah. Lo! Allah is ever Forgiving, Merciful. SHAKIR: And ask forgiveness of Allah; surely Allah is Forgiving, Merciful. PICKTHAL: And plead not on behalf of (people) who deceive themselves. Lo! Allah loveth not one who is treacherous and sinful. YUSUFALI: They may hide (Their crimes) from men, but they cannot hide (Them) from Allah, seeing that He is in their midst when they plot by night, in words that He cannot approve: And Allah Doth compass round all that they do. PICKTHAL: They seek to hide from men and seek not to hide from Allah. He is with them when by night they hold discourse displeasing unto Him. Allah ever surroundeth what they do. SHAKIR: They hide themselves from men and do not hide themselves from Allah, and He is with them when they meditate by night words which please Him not, and Allah encompasses what they do. YUSUFALI: Ah! These are the sort of men on whose behalf ye may contend in this world; but who will contend with Allah on their behalf on the Day of Judgment, or who will carry their affairs through? PICKTHAL: Ho! ye are they who pleaded for them in the life of the world. But who will plead with Allah for them on the Day of Resurrection, or who will then be their defender? SHAKIR: Behold! you are they who (may) plead for them in this world's life, but who will plead for them with Allah on the resurrection day, or who shall be their protector? YUSUFALI: If any one does evil or wrongs his own soul but afterwards seeks Allah's forgiveness, he will find Allah Oft-forgiving, Most Merciful. PICKTHAL: Yet whoso doeth evil or wrongeth his own soul, then seeketh pardon of Allah, will find Allah Forgiving, Merciful. SHAKIR: And whoever does evil or acts unjustly to his soul, then asks forgiveness of Allah, he shall find Allah Forgiving, Merciful. YUSUFALI: And if any one earns sin. he earns it against His own soul: for Allah is full of knowledge and wisdom. PICKTHAL: Whoso committeth sin committeth it only against himself. Allah is ever Knower, Wise. SHAKIR: And whoever commits a sin, he only commits it against his own soul; and Allah is Knowing, Wise. YUSUFALI: But if any one earns a fault or a sin and throws it on to one that is innocent, He carries (on himself) (Both) a falsehood and a flagrant sin. PICKTHAL: And whoso committeth a delinquency or crime, then throweth (the blame) thereof upon the innocent, hath burdened himself with falsehood and a flagrant crime. SHAKIR: And whoever commits a fault or a sin, then accuses of it one innocent, he indeed takes upon himself the burden of a calumny and a manifest sin. YUSUFALI: But for the Grace of Allah to thee and his Mercy, a party of them would certainly have plotted to lead thee astray. But (in fact) they will only Lead their own souls astray, and to thee they can do no harm in the least. For Allah hath sent down to thee the Book and wisdom and taught thee what thou Knewest not (before): And great is the Grace of Allah unto thee. PICKTHAL: But for the grace of Allah upon thee (Muhammad), and His mercy, a party of them had resolved to mislead thee, but they will mislead only themselves and they will hurt thee not at all. Allah revealeth unto thee the Scripture and wisdom, and teacheth thee that which thou knewest not. The grace of Allah toward thee hath been infinite. SHAKIR: And were it not for Allah's grace upon you and His mercy a party of them had certainly designed to bring you to perdition and they do not bring (aught) to perdition but their own souls, and they shall not harm you in any way, and Allah has revealed to you the Book and the wisdom, and He has taught you what you did not know, and Allah's grace on you is very great. YUSUFALI: In most of their secret talks there is no good: But if one exhorts to a deed of charity or justice or conciliation between men, (Secrecy is permissible): To him who does this, seeking the good pleasure of Allah, We shall soon give a reward of the highest (value). PICKTHAL: There is no good in much of their secret conferences save (in) him who enjoineth almsgiving and kindness and peace-making among the people. Whoso doeth that, seeking the good pleasure of Allah, We shall bestow on him a vast reward. SHAKIR: There is no good in most of their secret counsels except (in his) who enjoins charity or goodness or reconciliation between people; and whoever does this seeking Allah's pleasure, We will give him a mighty reward. YUSUFALI: If anyone contends with the Messenger even after guidance has been plainly conveyed to him, and follows a path other than that becoming to men of Faith, We shall leave him in the path he has chosen, and land him in Hell,- what an evil refuge! PICKTHAL: And whoso opposeth the messenger after the guidance (of Allah) hath been manifested unto him, and followeth other than the believer's way, We appoint for him that unto which he himself hath turned, and expose him unto hell - a hapless journey's end! SHAKIR: And whoever acts hostilely to the Messenger after that guidance has become manifest to him, and follows other than the way of the believers, We will turn him to that to which he has (himself) turned and make him enter hell; and it is an evil resort. YUSUFALI: Allah forgiveth not (The sin of) joining other gods with Him; but He forgiveth whom He pleaseth other sins than this: one who joins other gods with Allah, Hath strayed far, far away (from the right). PICKTHAL: Lo! Allah pardoneth not that partners should be ascribed unto Him. He pardoneth all save that to whom He will. Whoso ascribeth partners unto Allah hath wandered far astray. SHAKIR: Surely Allah does not forgive that anything should be associated with Him, and He forgives what is besides this to whom He pleases; and whoever associates anything with Allah, he indeed strays off into a remote error. YUSUFALI: (The Pagans), leaving Him, call but upon female deities: They call but upon satan the persistent rebel! SHAKIR: They do not call besides Him on anything but idols, and they do not call on anything but a rebellious Shaitan. YUSUFALI: "I will mislead them, and I will create in them false desires; I will order them to slit the ears of cattle, and to deface the (fair) nature created by Allah." Whoever, forsaking Allah, takes satan for a friend, hath of a surety suffered a loss that is manifest. PICKTHAL: And surely I will lead them astray, and surely I will arouse desires in them, and surely I will command them and they will cut the cattle' ears, and surely I will command them and they will change Allah's creation. Whoso chooseth Satan for a patron instead of Allah is verily a loser and his loss is manifest. SHAKIR: And most certainly I will lead them astray and excite in them vain desires, and bid them so that they shall slit the ears of the cattle, and most certainly I will bid them so that they shall alter Allah's creation; and whoever takes the Shaitan for a guardian rather than Allah he indeed shall suffer a manifest loss. YUSUFALI: Satan makes them promises, and creates in them false desires; but satan's promises are nothing but deception. PICKTHAL: He promiseth them and stirreth up desires in them, and Satan promiseth them only to beguile. SHAKIR: He gives them promises and excites vain desires in them; and the Shaitan does not promise them but to deceive. YUSUFALI: They (his dupes) will have their dwelling in Hell, and from it they will find no way of escape. PICKTHAL: For such, their habitation will be hell, and they will find no refuge therefrom. SHAKIR: These are they whose abode is hell, and they shall not find any refuge from it. YUSUFALI: But those who believe and do deeds of righteousness,- we shall soon admit them to gardens, with rivers flowing beneath,-to dwell therein for ever. Allah's promise is the truth, and whose word can be truer than Allah's? PICKTHAL: But as for those who believe and do good works We shall bring them into Gardens underneath which rivers flow, wherein they will abide for ever. It is a promise from Allah in truth; and who can be more truthful than Allah in utterance? SHAKIR: And (as for) those who believe and do good, We will make them enter into gardens beneath which rivers flow, to abide therein for ever; (it is) a promise of Allah, true (indeed), and who is truer of word than Allah? YUSUFALI: Not your desires, nor those of the People of the Book (can prevail): whoever works evil, will be requited accordingly. Nor will he find, besides Allah, any protector or helper. PICKTHAL: It will not be in accordance with your desires, nor the desires of the People of the Scripture. He who doeth wrong will have the recompense thereof, and will not find against Allah any protecting friend or helper. SHAKIR: (This) shall not be in accordance with your vain desires nor in accordance with the vain desires of the followers of the Book; whoever does evil, he shall be requited with it, and besides Allah he will find for himself neither a guardian nor a helper. YUSUFALI: If any do deeds of righteousness,- be they male or female - and have faith, they will enter Heaven, and not the least injustice will be done to them. PICKTHAL: And whoso doeth good works, whether of male or female, and he (or she) is a believer, such will enter paradise and they will not be wronged the dint in a date-stone. SHAKIR: And whoever does good deeds whether male or female and he (or she) is a believer-- these shall enter the garden, and they shall not be dealt with a jot unjustly. YUSUFALI: Who can be better in religion than one who submits his whole self to Allah, does good, and follows the way of Abraham the true in Faith? For Allah did take Abraham for a friend. PICKTHAL: Who is better in religion than he who surrendereth his purpose to Allah while doing good (to men) and followeth the tradition of Abraham, the upright? Allah (Himself) chose Abraham for friend. SHAKIR: And who has a better religion than he who submits himself entirely to Allah? And he is the doer of good (to others) and follows the faith of Ibrahim, the upright one, and Allah took Ibrahim as a friend. YUSUFALI: But to Allah belong all things in the heavens and on earth: And He it is that Encompasseth all things. PICKTHAL: Unto Allah belongeth whatsoever is in the heavens and whatsoever is in the earth. Allah ever surroundeth all things. SHAKIR: And whatever is in the heavens and whatever is in the earth is Allah's; and Allah encompasses all things. YUSUFALI: They ask thy instruction concerning the women say: Allah doth instruct you about them: And (remember) what hath been rehearsed unto you in the Book, concerning the orphans of women to whom ye give not the portions prescribed, and yet whom ye desire to marry, as also concerning the children who are weak and oppressed: that ye stand firm for justice to orphans. There is not a good deed which ye do, but Allah is well-acquainted therewith. PICKTHAL: They consult thee concerning women. Say: Allah giveth you decree concerning them, and the Scripture which hath been recited unto you (giveth decree), concerning female orphans and those unto whom ye give not that which is ordained for them though ye desire to marry them, and (concerning) the weak among children, and that ye should deal justly with orphans. Whatever good ye do, lo! Allah is ever Aware of it. SHAKIR: And they ask you a decision about women. Say: Allah makes known to you His decision concerning them, and that which is recited to you in the Book concerning female orphans whom you do not give what is appointed for them while you desire to marry them, and concerning the weak among children, and that you should deal towards orphans with equity; and whatever good you do, Allah surely knows it. YUSUFALI: If a wife fears cruelty or desertion on her husband's part, there is no blame on them if they arrange an amicable settlement between themselves; and such settlement is best; even though men's souls are swayed by greed. But if ye do good and practise self-restraint, Allah is well-acquainted with all that ye do. PICKTHAL: If a woman feareth ill treatment from her husband, or desertion, it is no sin for them twain if they make terms of peace between themselves. Peace is better. But greed hath been made present in the minds (of men). If ye do good and keep from evil, lo! Allah is ever Informed of what ye do. SHAKIR: And if a woman fears ill usage or desertion on the part of her husband, there is no blame on them, if they effect a reconciliation between them, and reconciliation is better, and avarice has been made to be present in the (people's) minds; and if you do good (to others) and guard (against evil), then surely Allah is aware of what you do. YUSUFALI: Ye are never able to be fair and just as between women, even if it is your ardent desire: But turn not away (from a woman) altogether, so as to leave her (as it were) hanging (in the air). If ye come to a friendly understanding, and practise self-restraint, Allah is Oft-forgiving, Most Merciful. PICKTHAL: Ye will not be able to deal equally between (your) wives, however much ye wish (to do so). But turn not altogether away (from one), leaving her as in suspense. If ye do good and keep from evil, lo! Allah is ever Forgiving, Merciful. SHAKIR: And you have it not in your power to do justice between wives, even though you may wish (it), but be not disinclined (from one) with total disinclination, so that you leave her as it were in suspense; and if you effect a reconciliation and guard (against evil), then surely Allah is Forgiving, Merciful. YUSUFALI: But if they disagree (and must part), Allah will provide abundance for all from His all-reaching bounty: for Allah is He that careth for all and is Wise. PICKTHAL: But if they separate, Allah will compensate each out of His abundance. Allah is ever All-Embracing, All-Knowing. SHAKIR: And if they separate, Allah will render them both free from want out of His ampleness, and Allah is Ample-giving, Wise. YUSUFALI: To Allah belong all things in the heavens and on earth. Verily we have directed the People of the Book before you, and you (o Muslims) to fear Allah. But if ye deny Him, lo! unto Allah belong all things in the heavens and on earth, and Allah is free of all wants, worthy of all praise. PICKTHAL: Unto Allah belongeth whatsoever is in the heavens and whatsoever is in the earth. 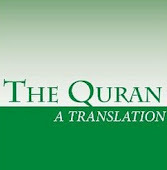 And We charged those who received the Scripture before you, and (We charge) you, that ye keep your duty toward Allah. And if ye disbelieve, lo! unto Allah belongeth whatsoever is in the heavens and whatsoever is in the earth, and Allah is ever Absolute, Owner of Praise. SHAKIR: And whatever is in the heavens and whatever is in the earth is Allah's and certainly We enjoined those who were given the Book before you and (We enjoin) you too that you should be careful of (your duty to) Allah; and if you disbelieve, then surely whatever is in the heavens and whatever is in the earth is Allah's and Allah is Self-sufficient, Praise-worthy. YUSUFALI: Yea, unto Allah belong all things in the heavens and on earth, and enough is Allah to carry through all affairs. PICKTHAL: Unto Allah belongeth whatsoever is in the heavens and whatsoever is in the earth. And Allah is sufficient as Defender. SHAKIR: And whatever is in the heavens and whatever is in the earth is Allah's, and Allah is sufficient as a Protector. YUSUFALI: If it were His will, He could destroy you, o mankind, and create another race; for He hath power this to do. PICKTHAL: If He will, He can remove you, O people, and produce others (in your stead). Allah is Able to do that. SHAKIR: If He please, He can make you pass away, O people! and bring others; and Allah has the power to do this. YUSUFALI: If any one desires a reward in this life, in Allah's (gift) is the reward (both) of this life and of the hereafter: for Allah is He that heareth and seeth (all things). PICKTHAL: Whoso desireth the reward of the world, (let him know that) with Allah is the reward of the world and the Hereafter. Allah is ever Hearer, Seer. SHAKIR: Whoever desires the reward of this world, then with Allah is the reward of this world and the hereafter; and Allah is Hearing, Seeing. YUSUFALI: O ye who believe! stand out firmly for justice, as witnesses to Allah, even as against yourselves, or your parents, or your kin, and whether it be (against) rich or poor: for Allah can best protect both. Follow not the lusts (of your hearts), lest ye swerve, and if ye distort (justice) or decline to do justice, verily Allah is well-acquainted with all that ye do. PICKTHAL: O ye who believe! Be ye staunch in justice, witnesses for Allah, even though it be against yourselves or (your) parents or (your) kindred, whether (the case be of) a rich man or a poor man, for Allah is nearer unto both (them ye are). So follow not passion lest ye lapse (from truth) and if ye lapse or fall away, then lo! Allah is ever Informed of what ye do. SHAKIR: O you who believe! be maintainers of justice, bearers of witness of Allah's sake, though it may be against your own selves or (your) parents or near relatives; if he be rich or poor, Allah is nearer to them both in compassion; therefore do not follow (your) low desires, lest you deviate; and if you swerve or turn aside, then surely Allah is aware of what you do. YUSUFALI: O ye who believe! Believe in Allah and His Messenger, and the scripture which He hath sent to His Messenger and the scripture which He sent to those before (him). Any who denieth Allah, His angels, His Books, His Messengers, and the Day of Judgment, hath gone far, far astray. PICKTHAL: O ye who believe! Believe in Allah and His messenger and the Scripture which He hath revealed unto His messenger, and the Scripture which He revealed aforetime. Whoso disbelieveth in Allah and His angels and His scriptures and His messengers and the Last Day, he verily hath wandered far astray. SHAKIR: O you who believe! believe in Allah and His Messenger and the Book which He has revealed to His Messenger and the Book which He revealed before; and whoever disbelieves in Allah and His angels and His messengers and the last day, he indeed strays off into a remote error. YUSUFALI: Those who believe, then reject faith, then believe (again) and (again) reject faith, and go on increasing in unbelief,- Allah will not forgive them nor guide them nor guide them on the way. PICKTHAL: Lo! those who believe, then disbelieve and then (again) believe, then disbelieve, and then increase in disbelief, Allah will never pardon them, nor will He guide them unto a way. SHAKIR: Surely (as for) those who believe then disbelieve, again believe and again disbelieve, then increase in disbelief, Allah will not forgive them nor guide them in the (right) path. YUSUFALI: Yea, to those who take for friends unbelievers rather than believers: is it honour they seek among them? Nay,- all honour is with Allah. PICKTHAL: Those who chose disbelievers for their friends instead of believers! Do they look for power at their hands? Lo! all power appertaineth to Allah. SHAKIR: Those who take the unbelievers for guardians rather than believers. Do they seek honor from them? Then surely all honor is for Allah. SHAKIR: And indeed He has revealed to you in the Book that when you hear Allah's communications disbelieved in and mocked at do not sit with them until they enter into some other discourse; surely then you would be like them; surely Allah will gather together the hypocrites and the unbelievers all in hell. YUSUFALI: (These are) the ones who wait and watch about you: if ye do gain a victory from Allah, they say: "Were we not with you? "- but if the unbelievers gain a success, they say (to them): "Did we not gain an advantage over you, and did we not guard you from the believers?" but Allah will judge betwixt you on the Day of Judgment. And never will Allah grant to the unbelievers a way (to triumphs) over the believers. PICKTHAL: Those who wait upon occasion in regard to you and, if a victory cometh unto you from Allah, say: Are we not with you? and if the disbelievers meet with a success say: Had we not the mastery of you, and did we not protect you from the believers? - Allah will judge between you at the Day of Resurrection, and Allah will not give the disbelievers any way (of success) against the believers. SHAKIR: Those who wait for (some misfortune to befall) you then If you have a victory from Allah they say: Were we not with you? And i. there IS a chance for the unbelievers, they say: Did we not acquire the mastery over you and defend you from the believers? So Allah shall Judge between you on the day of resurrection, and Allah will by no means give the unbelievers a way against the believers. SHAKIR: Surely the hypocrites strive to deceive Allah, and He shall requite their deceit to them, and when they stand up to prayer they stand up sluggishly; they do it only to be seen of men and do not remember Allah save a little. YUSUFALI: (They are) distracted in mind even in the midst of it,- being (sincerely) for neither one group nor for another whom Allah leaves straying,- never wilt thou find for him the way. SHAKIR: Wavering between that (and this), (belonging) neither to these nor to those; and whomsoever Allah causes to err, you shall not find a way for him. YUSUFALI: O ye who believe! Take not for friends unbelievers rather than believers: Do ye wish to offer Allah an open proof against yourselves? PICKTHAL: O ye who believe! Choose not disbelievers for (your) friends in place of believers. Would ye give Allah a clear warrant against you? SHAKIR: O you who believe! do not take the unbelievers for friends rather than the believers; do you desire that you should give to Allah a manifest proof against yourselves? SHAKIR: Surely the hypocrites are in the lowest stage of the fire and you shall not find a helper for them. YUSUFALI: Except for those who repent, mend (their lives) hold fast to Allah, and purify their religion as in Allah's sight: if so they will be (numbered) with the believers. And soon will Allah grant to the believers a reward of immense value. PICKTHAL: Save those who repent and amend and hold fast to Allah and make their religion pure for Allah (only). Those are with the believers. And Allah will bestow on the believers an immense reward. SHAKIR: Except those who repent and amend and hold fast to Allah and are sincere in their religion to Allah, these are with the believers, and Allah will grant the believers a mighty reward. YUSUFALI: What can Allah gain by your punishment, if ye are grateful and ye believe? Nay, it is Allah that recogniseth (all good), and knoweth all things. PICKTHAL: What concern hath Allah for your punishment if ye are thankful (for His mercies) and believe (in Him)? Allah was ever Responsive, Aware. YUSUFALI: Allah loveth not that evil should be noised abroad in public speech, except where injustice hath been done; for Allah is He who heareth and knoweth all things. PICKTHAL: Allah loveth not the utterance of harsh speech save by one who hath been wronged. Allah is ever Hearer, Knower. SHAKIR: Allah does not love the public utterance of hurtful speech unless (it be) by one to whom injustice has been done; and Allah is Hearing, Knowing. YUSUFALI: Whether ye publish a good deed or conceal it or cover evil with pardon, verily Allah doth blot out (sins) and hath power (in the judgment of values). PICKTHAL: If ye do good openly or keep it secret, or forgive evil, lo! Allah is ever Forgiving, Powerful. SHAKIR: If you do good openly or do it in secret or pardon an evil then surely Allah is Pardoning, Powerful. SHAKIR: Surely those who disbelieve in Allah and His messengers and (those who) desire to make a distinction between Allah and His messengers and say: We believe in some and disbelieve in others, and desire to take a course between (this and) that. YUSUFALI: They are in truth (equally) unbelievers; and we have prepared for unbelievers a humiliating punishment. PICKTHAL: Such are disbelievers in truth; and for disbelievers We prepare a shameful doom. SHAKIR: These it is that are truly unbelievers, and We have prepared for the unbelievers a disgraceful chastisement. YUSUFALI: To those who believe in Allah and His messengers and make no distinction between any of the messengers, we shall soon give their (due) rewards: for Allah is Oft-forgiving, Most Merciful. PICKTHAL: But those who believe in Allah and His messengers and make no distinction between any of them, unto them Allah will give their wages; and Allah was ever Forgiving, Merciful. SHAKIR: And those who believe in Allah and His messengers and do not make a distinction between any of them-- Allah will grant them their rewards; and Allah is Forgiving, Merciful. YUSUFALI: The people of the Book ask thee to cause a book to descend to them from heaven: Indeed they asked Moses for an even greater (miracle), for they said: "Show us Allah in public," but they were dazed for their presumption, with thunder and lightning. Yet they worshipped the calf even after clear signs had come to them; even so we forgave them; and gave Moses manifest proofs of authority. PICKTHAL: The people of the Scripture ask of thee that thou shouldst cause an (actual) Book to descend upon them from heaven. They asked a greater thing of Moses aforetime, for they said: Show us Allah plainly. The storm of lightning seized them for their wickedness. Then (even) after that) they chose the calf (for worship) after clear proofs (of Allah's Sovereignty) had come unto them. And We forgave them that! And We bestowed on Moses evident authority. YUSUFALI: And for their covenant we raised over them (the towering height) of Mount (Sinai); and (on another occasion) we said: "Enter the gate with humility"; and (once again) we commanded them: "Transgress not in the matter of the sabbath." And we took from them a solemn covenant. PICKTHAL: And We caused the Mount to tower above them at (the taking of) their covenant: and We bade them: Enter the gate, prostrate! and We bode them: Transgress not the Sabbath! and We took from them a firm covenant. SHAKIR: And We lifted the mountain (Sainai) over them at (the li taking of the covenant) and We said to them: Enter the door making obeisance; and We said to them: Do not exceed the limits of the Sabbath, and We made with them a firm covenant. SHAKIR: Therefore, for their breaking their covenant and their disbelief in the communications of Allah and their killing the prophets wrongfully and their saying: Our hearts are covered; nay! Allah set a seal upon them owing to their unbelief, so they shall not believe except a few. SHAKIR: And for their unbelief and for their having uttered against Marium a grievous calumny. PICKTHAL: But Allah took him up unto Himself. Allah was ever Mighty, Wise. SHAKIR: Nay! Allah took him up to Himself; and Allah is Mighty, Wise. SHAKIR: And there is not one of the followers of the Book but most certainly believes in this before his death, and on the day of resurrection he (Isa) shall be a witness against them. SHAKIR: Wherefore for the iniquity of those who are Jews did We disallow to them the good things which had been made lawful for them and for their hindering many (people) from Allah's way. YUSUFALI: That they took usury, though they were forbidden; and that they devoured men's substance wrongfully;- we have prepared for those among them who reject faith a grievous punishment. PICKTHAL: And of their taking usury when they were forbidden it, and of their devouring people's wealth by false pretences, We have prepared for those of them who disbelieve a painful doom. SHAKIR: And their taking usury though indeed they were forbidden it and their devouring the property of people falsely, and We have prepared for the unbelievers from among them a painful chastisement. YUSUFALI: But those among them who are well-grounded in knowledge, and the believers, believe in what hath been revealed to thee and what was revealed before thee: And (especially) those who establish regular prayer and practise regular charity and believe in Allah and in the Last Day: To them shall We soon give a great reward. PICKTHAL: But those of them who are firm in knowledge and the believers believe in that which is revealed unto thee, and that which was revealed before thee, especially the diligent in prayer and those who pay the poor-due, the believers in Allah and the Last Day. Upon these We shall bestow immense reward. SHAKIR: But the firm in knowledge among them and the believers believe in what has been revealed to. you and what was revealed before you, and those who keep up prayers and those who give the poor-rate and the believers in Allah and the last day, these it is whom We will give a mighty reward. YUSUFALI: We have sent thee inspiration, as We sent it to Noah and the Messengers after him: we sent inspiration to Abraham, Isma'il, Isaac, Jacob and the Tribes, to Jesus, Job, Jonah, Aaron, and solomon, and to David We gave the Psalms. YUSUFALI: Messengers who gave good news as well as warning, that mankind, after (the coming) of the messengers, should have no plea against Allah: For Allah is Exalted in Power, Wise. PICKTHAL: Messengers of good cheer and of warning, in order that mankind might have no argument against Allah after the messengers. Allah was ever Mighty, Wise. SHAKIR: (We sent) messengers as the givers of good news and as warners, so that people should not have a plea against Allah after the (coming of) messengers; and Allah is Mighty, Wise. YUSUFALI: But Allah beareth witness that what He hath sent unto thee He hath sent from His (own) knowledge, and the angels bear witness: But enough is Allah for a witness. PICKTHAL: But Allah (Himself) testifieth concerning that which He hath revealeth unto thee; in His knowledge hath He revealed it; and the angels also testify. And Allah is sufficient Witness. SHAKIR: But Allah bears witness by what He has revealed to you that He has revealed it with His knowledge, and the angels bear witness (also); and Allah is sufficient as a witness. YUSUFALI: Those who reject Faith and keep off (men) from the way of Allah, have verily strayed far, far away from the Path. PICKTHAL: Lo! those who disbelieve and hinder (others) from the way of Allah, they verily have wandered far astray. YUSUFALI: Except the way of Hell, to dwell therein for ever. And this to Allah is easy. PICKTHAL: Except the road of hell, wherein they will abide for ever. And that is ever easy for Allah. SHAKIR: Except the path of hell, to abide in it for ever, and this is easy to Allah. YUSUFALI: O Mankind! The Messenger hath come to you in truth from Allah: believe in him: It is best for you. But if ye reject Faith, to Allah belong all things in the heavens and on earth: And Allah is All-knowing, All-wise. PICKTHAL: O mankind! The messenger hath come unto you with the Truth from your Lord. Therefor believe; (it is) better for you. But if ye disbelieve, still, lo! unto Allah belongeth whatsoever is in the heavens and the earth. Allah is ever Knower, Wise. SHAKIR: O people! surely the Messenger has come to you with the truth from your Lord, therefore believe, (it shall be) good for you and If you disbelieve, then surely whatever is in the heavens and the earth is Allah's; and Allah is Knowing, Wise. YUSUFALI: O People of the Book! Commit no excesses in your religion: Nor say of Allah aught but the truth. Christ Jesus the son of Mary was (no more than) a messenger of Allah, and His Word, which He bestowed on Mary, and a spirit proceeding from Him: so believe in Allah and His messengers. Say not "Trinity" : desist: it will be better for you: for Allah is one Allah: Glory be to Him: (far exalted is He) above having a son. To Him belong all things in the heavens and on earth. And enough is Allah as a Disposer of affairs. PICKTHAL: O People of the Scripture! Do not exaggerate in your religion nor utter aught concerning Allah save the truth. The Messiah, Jesus son of Mary, was only a messenger of Allah, and His word which He conveyed unto Mary, and a spirit from Him. So believe in Allah and His messengers, and say not "Three" - Cease! (it is) better for you! - Allah is only One Allah. Far is it removed from His Transcendent Majesty that He should have a son. His is all that is in the heavens and all that is in the earth. And Allah is sufficient as Defender. SHAKIR: O followers of the Book! do not exceed the limits in your religion, and do not speak (lies) against Allah, but (speak) the truth; the Messiah, Isa son of Marium is only a messenger of Allah and His Word which He communicated to Marium and a spirit from Him; believe therefore in Allah and His messengers, and say not, Three. Desist, it is better for you; Allah is only one Allah; far be It from His glory that He should have a son, whatever is in the heavens and whatever is in the earth is His, and Allah is sufficient for a Protector. YUSUFALI: Christ disdaineth nor to serve and worship Allah, nor do the angels, those nearest (to Allah): those who disdain His worship and are arrogant,-He will gather them all together unto Himself to (answer). SHAKIR: The Messiah does by no means disdain that he should be a servant of Allah, nor do the angels who are near to Him, and whoever disdains His service and is proud, He will gather them all together to Himself. YUSUFALI: But to those who believe and do deeds of righteousness, He will give their (due) rewards,- and more, out of His bounty: But those who are disdainful and arrogant, He will punish with a grievous penalty; Nor will they find, besides Allah, any to protect or help them. PICKTHAL: Then, as for those who believed and did good works, unto them will He pay their wages in full, adding unto them of His bounty; and as for those who were scornful and proud, them will He punish with a painful doom. And they will not find for them, against Allah, any protecting friend or helper. YUSUFALI: O mankind! verily there hath come to you a convincing proof from your Lord: For We have sent unto you a light (that is) manifest. SHAKIR: O people! surely there has come to you manifest proof from your Lord and We have sent to you clear light. YUSUFALI: Then those who believe in Allah, and hold fast to Him,- soon will He admit them to mercy and grace from Himself, and guide them to Himself by a straight way. PICKTHAL: As for those who believe in Allah, and hold fast unto Him, them He will cause to enter into His mercy and grace, and will guide them unto Him by a straight road. SHAKIR: Then as for those who believe in Allah and hold fast by Him, He will cause them to enter into His mercy and grace and guide them to Himself on a right path. YUSUFALI: They ask thee for a legal decision. Say: Allah directs (thus) about those who leave no descendants or ascendants as heirs. If it is a man that dies, leaving a sister but no child, she shall have half the inheritance: If (such a deceased was) a woman, who left no child, Her brother takes her inheritance: If there are two sisters, they shall have two-thirds of the inheritance (between them): if there are brothers and sisters, (they share), the male having twice the share of the female. Thus doth Allah make clear to you (His law), lest ye err. And Allah hath knowledge of all things. PICKTHAL: They ask thee for a pronouncement. Say: Allah hath pronounced for you concerning distant kindred. If a man die childless and he have a sister, hers is half the heritage, and he would have inherited from her had she died childless. And if there be two sisters, then theirs are two-thirds of the heritage, and if they be brethren, men and women, unto the male is the equivalent of the share of two females. Allah expoundeth unto you, so that ye err not. Allah is Knower of all things. SHAKIR: They ask you for a decision of the law. Say: Allah gives you a decision concerning the person who has neither parents nor offspring; if a man dies (and) he has no son and he has a sister, she shall have half of what he leaves, and he shall be her heir she has no son; but if there be two (sisters), they shall have two-thirds of what he leaves; and if there are brethren, men and women, then the male shall have the like of the portion of two females; Allah makes clear to you, lest you err; and Allah knows all things.